Sondheim Sublime, a new album from Tony Award-nominated singer & actress Melissa Errico will be released on November 2 by Ghostlight Records. 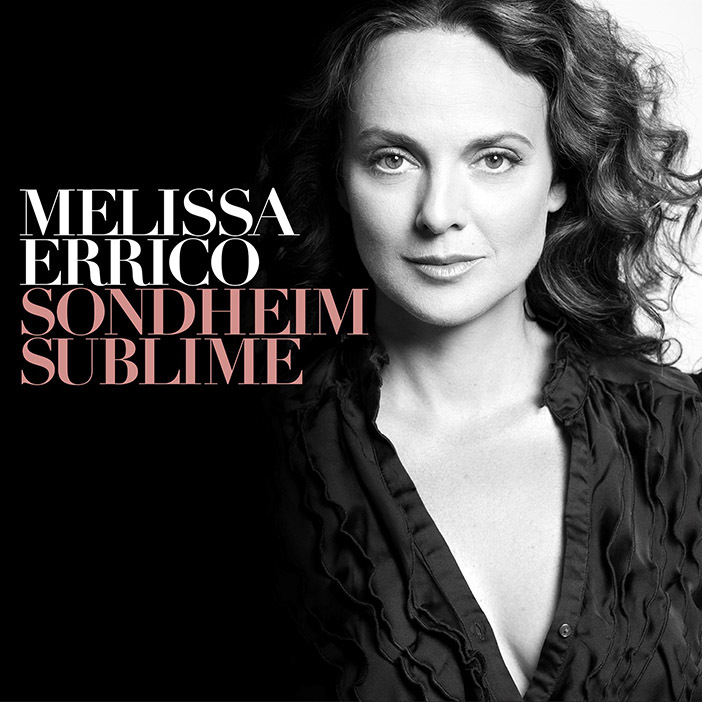 Produced by Rob Mathes (Sting) and Executive Producer Kurt Deutsch, with Sondheim Sublime Melissa Errico shows us a side of Stephen Sondheim’s music that no singer has explored so completely before. It’s not the satiric or slyly disillusioned Sondheim – it’s the soulful Sondheim, the heartfelt, hungering Sondheim, author of songs of aching love and slowly dawning wisdom, the exalted, and reflective Sondheim: Sondheim Sublime. Accompanied by pianist Tedd Firth, Errico sings in a tone by turns hushed, electric and ecstatic, giving us a new understanding of the emotional intensity that has always equaled Sondheim’s virtuosic verbal magic. Renowned photographer Brigitte Lacombe photographed Melissa for the album cover art. It’s a program of songs of love and life lessons, including a perfectly protective mother’s version of “Not While I’m Around” – while still having time for a provocative “Sooner or Later.” An album to place alongside her earlier Legrand Affair and Lullabies and Wildflowers as part of a uniquely lyrical and romantic library, Sondheim Sublime is an Errico album meant for the three-o-clocks in the mornings of the soul, when love is lost and wisdoms sought from one wise friend. It will also be available in digital and streaming formats and in stores. The track list is: “Sooner or Later”; “Loving You”; “I Remember”; “No More”; “The Miller’s Son”; “Losing My Mind”; “Send In The Clowns”; “Not While I’m Around”; “Not A Day Goes By/Marry Me A Little”; “Children Will Listen”; “Isn’t He Something”; “Move On”; “Goodbye For Now”; “With So Little To Be Sure Of”; “Children and Art”. And after two sold-out engagements in NYC and sold-out engagements in DC, London & Chicago, Melissa Errico will return to Feinstein’s/54 Below on November 1, 2 and 3 at 7pm with her acclaimed Sondheim concert to celebrate the release of the album. Tickets are $40-$80 & can be purchased at www.54Below.com or by phone at 646-476-3551. Errico’s history with Sondheim began when he selected her to star as Dot in Sunday In The Park With George at The Kennedy Center. She has since gone on to perform many tribute concerts for Sondheim at such venues as Lincoln Center, Symphony Space & The Natural History Museum. Errico was honored to co-star as Clara in Passion at CSC and in the 2016 Encores! season, Melissa tackled one of Sondheim’s most controversial heroines as Leona in Do I Hear A Waltz? Melissa is best known for her starring roles on Broadway in the musicals My Fair Lady, Anna Karenina, High Society, Dracula, White Christmas and Amour which won her a Tony nomination for “Best Actress” and began a longtime association with its composer Michel Legrand. She has also been a recording artist and concert singer, releasing several solo albums and working with some of the world’s best symphonies and in jazz and cabaret spaces. More recently, she has been establishing a reputation as a writer, publishing essays in The New York Times and beyond. Television roles include the series Central Park West by Darren Star, recurring roles on Steven Soderbergh’s The Knick and Showtime’s Billions. Melissa has also recently finished shooting a role in The Magnificent Meyersons, an Eric Oppenheimer film with Kate Mulgrew.